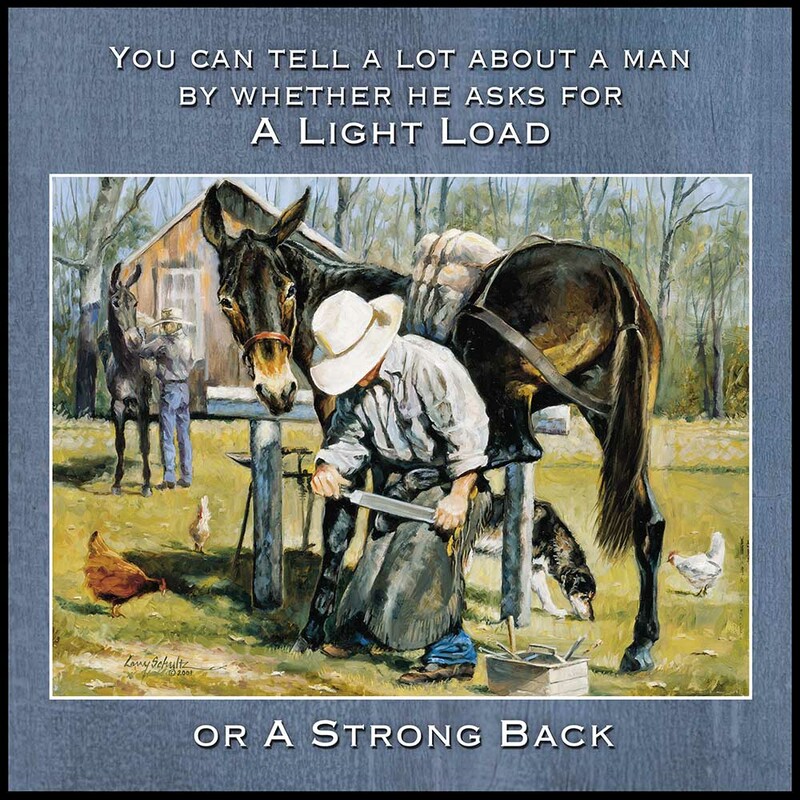 This ready to hang plaque features the Mule Print titled "Stop for a Fix"
No stubbornness here - this lovely picture by Larry Schultz depicts a farrier and mule who are NOT at odds - each a servant carrying a "load". Heavy composite wood board plaque that has a slot for hanging on the back. Also includes pegs so it can stand alone on a table top. Actual image is 11" x 11" with small black border showing on the edges for an elegant, clean look, plaque is 3/4" thick. Indoor use only.